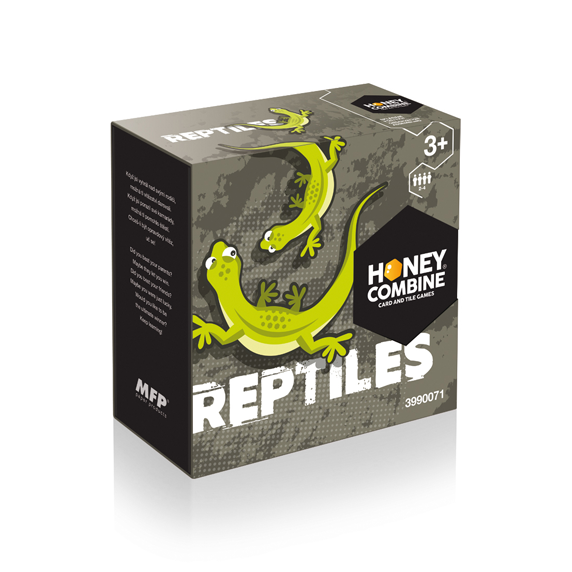 Stolní hra REPTILES/ MFP paper s.r.o. A bunch of small, green lizards are hidden in the rocks of an old quarry. Curiously peeking out, they’re all like two peas in a pod and they certainly aren’t letting anyone catch them easily. It’s up to you to find and assemble more lizards than your opponents. If you keep your eyes peeled and wait patiently they won’t escape you. In the game REPTILES, firstly, the playing tiles are shuffled and placed face down in a pile. After deciding or drawing the playing order, the first player flips over the top tile and places it face up on the playing surface. Players then take turns in taking tiles from the top of the pile and try to assemble lizards by connecting the right tiles together. When player connects the final piece to a lizard and thus creates a complete one (with head, body and tail) he earns a point. When placing a single tile it is possible to complete more than one lizard. It is not permitted to place a tile when incompatible edges are linked or strange looking lizards are created. If a player is unable to complete a lizard in his turn he must, without hesitating & delaying the other players, connect his tile into the game with at least one edge adjoining a previously placed tile. The game finishes when the last tile from the pile is played. The winner is the player who scores the most points by assembling the most lizards. We recommend using a pen and paper to record the points during the game which makes the final calculation easier. 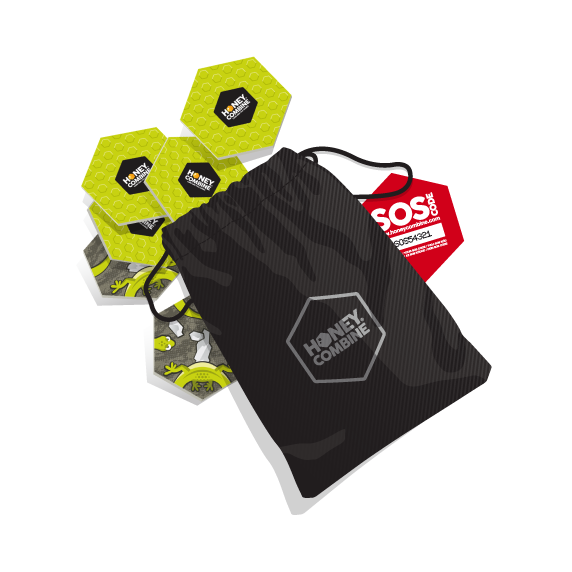 Box contents 28 playing tiles, rules booklet, textile bag and SOS service code.